Financially, OWU is a smaller institution. Do we need an automated purchasing system? 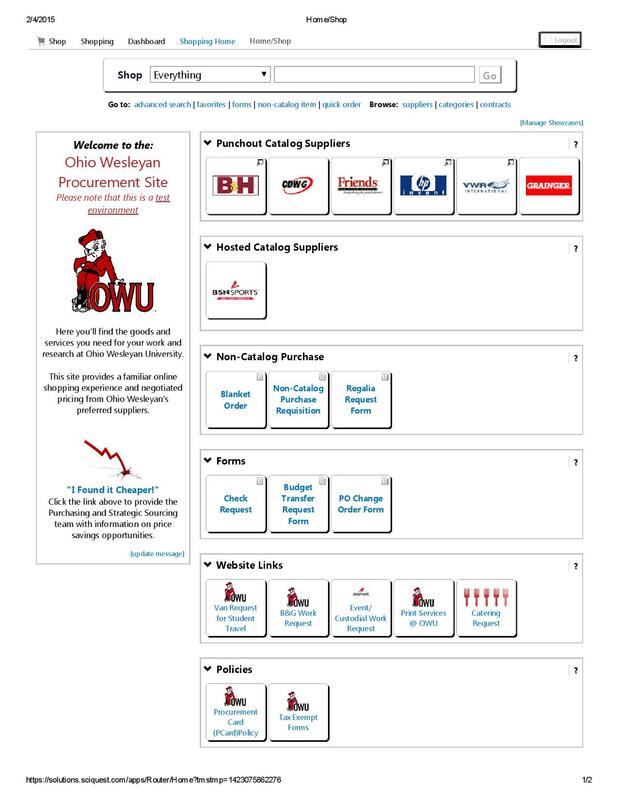 BishopBuy is a shared purchasing system with the other Ohio Five institutions. A shared system allows us to leverage our combined purchasing power for better discounts. You will also see a greater benefit in your own department, as you should over time find it faster and easier to order products and services. Also, there will be less need to create records, files, and spreadsheets in order to get the information you need. Given our current fiscal challenges, why did we purchase this software now? We had a unique opportunity to collectively purchase the software from SciQuest with The Five Colleges of Ohio. This collaborative effort also included the implementation costs being provided by a grant from The Andrew Mellon Foundation. The low cost of implementation will allow us to see a greater return on our investment immediately. When do I have to star using BishopBuy? Users can start accessing the site beginning the first week of March. Training sessions will also begin in March and will be offered twice weekly through May until all users are trained. BishopBuy will replace current processes by the start of the new fiscal year on July 1st so it is imperative for you to attend a training session prior to this date. Will I be able to use my PCard? Yes, you will be able to select your Pcard as a payment option to buy goods/services in BishopBuy. It will be just like any other online shopping website where you select payment method as you check out. How does this affect the PCard clearing process? It does not. The Pcard clearing process will still be maintained in the Smartdata system. Even if you purchase goods/services through the BishopBuy system, you will still load the receipt you receive from the vendor into the Smartdata system. How will BishopBuy Help me do my job? BishopBuy will be an all-in-one solution for business procurement processes. With all the shopping, quoting, ordering, approving, receiving, invoices, contracts, attachments, and reporting at your fingertips, you should see greater efficiency in your ability to manage department requests for goods, services, and information. The list below is grouped by role type to see specifically how the role you hold now in the purchasing process will translate into the BishopBuy system process. Shop from shared contracts for pricing, shipping costs, tax status, etc. Attachment capability for quotes, confirmations, shipping/receiving paperwork, invoices, comments, etc. 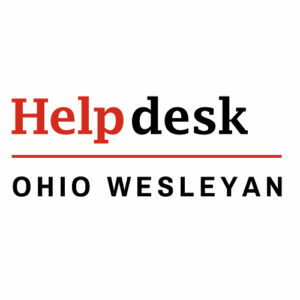 More info is available on the OWU Purchasing website.